With Netflix, iTunes and downloaded shows, dear old TV can often get overlooked. Many years ago when somebody wanted to watch something, they had to tune in at a specific time on a specific date to be able to see it - we know, crazy right? Still, having access to terrestrial TV is handy if your internet suddenly cuts out, or if you're in the back of beyond without any 4G reception. But how can you watch ITV2 without lugging your telly all the way out there with you? 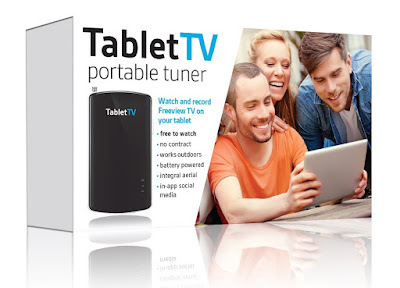 Easy, you use the Tablet TV. 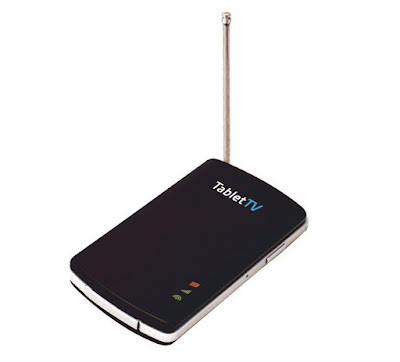 Tablet TV is essentially a small unit that acts like a portable digital TV tuner. 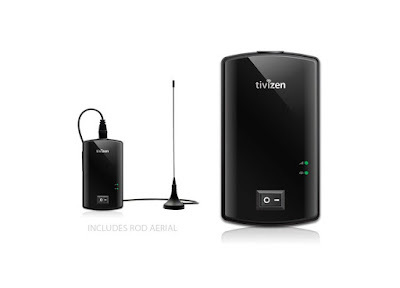 Instead of plugging into your home aerial and then your TV, it has its own aerial and uses WiFi to connect to your phone or tablet. 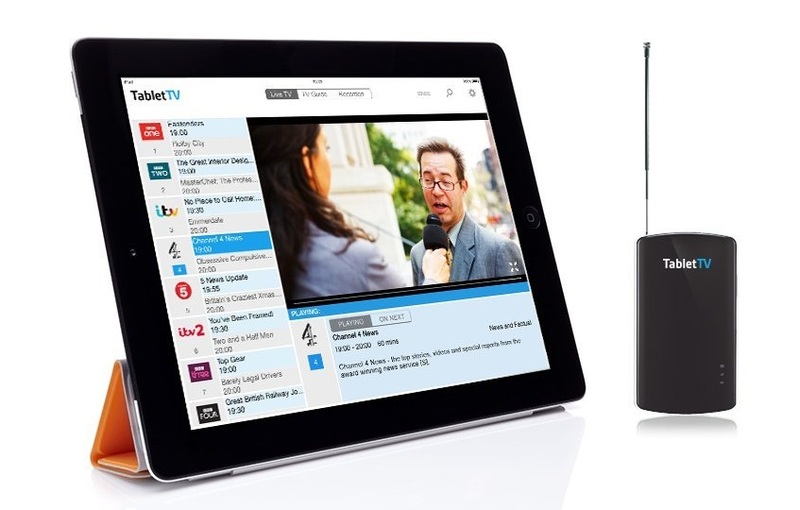 By way of the Tablet TV app, which is available for Android and iOS, you can then browse Freeview TV channels just like you would on your telly, but also record the shows direct to your device. There are two versions of Tablet TV; the portable tuner (which we were sent to test) and also the mains powered one. 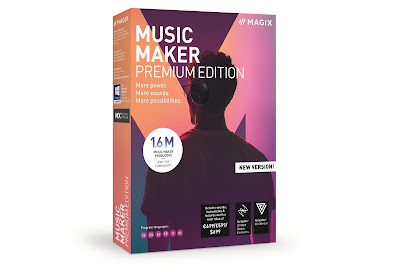 With the mains version, you plug it into a wall socket and then basically forget about it, while you access Freeview on your phone and tablet around the house. It has the advantage of also being able to plug into your house's main aerial to boost reception, but signal is limited only to the range of the built-in WiFi, so no trips out to the woods with it. However, the portable tuner is unburdened by wires. It has its own chargeable battery and can (with the aerial folded down) easily fit inside your pocket. Once powered up, the Tablet TV then projects its own WiFi signal to which you can connect your tablet or phone and open the Tablet TV app. We really like the app. Nice clean lines, smooth white background, and just enough of the look of YouTube to keep it familiar. Everything you would find on your TV's electronic programme guide is present, and channels are given their logos, as well as individual shows displaying a preview image. You can see what is on now and next, as well as browsing the schedules. Tap a channel and it will start to play, with no buffering or loading as with internet TV. One thing the app does that most normal Freeview boxes can't, is record shows. This is done by essentially recording the chosen show to the device's storage, allowing you to watch it back later. This all means that even in the absolute middle of nowhere, where mobile internet signals can't reach and public WiFi is a far-fetched thing of the future, you can sit back in your tent and watch Eastenders. So long as the digital Freeview signal is strong enough (which it is for most of the country) the playing image is smooth and audio is good. This is definitely one of those gadgets that you have to try to appreciate just how cool it is. It opens your eyes to dear old telly, which many people still think of as a thing they watch in the living room on the big screen only. Perhaps one day all phones and tablets will have the technology of the Tablet TV built into them, allowing you to view (and record) you favourite shows anywhere.